Deborah Knight and Georgie Gardner on Today. CHANNEL Nine has today slammed reports by tabloid magazines New Idea and Woman's Day suggesting the new-look Today show is already in trouble, just a week after a much-hyped relaunch. 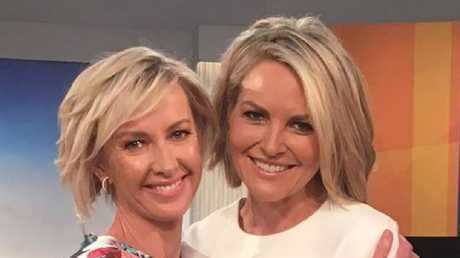 New Idea reports that Deborah Knight, who has replaced Karl Stefanovic as co-host of Today alongside Georgie Gardner, is "said to be feeling less than welcome and is now having second thoughts about taking on the coveted role". "We don't think Deb knew exactly what she was walking into," the outlet quotes an unnamed source as saying. "For a lot of people, taking on the gig might be seen as career suicide." The "industry insider" told New Idea: "There is too much pressure to save the show, too much pressure to win back viewers." Deborah Knight and Georgie Gardner on the new, Stefanovic-free Today show. Rival tabloid mag Woman's Day today ran its own report, asking: "Is Karl Stefanovic still killing the Today show?" The outlet quotes another unnamed 'industry insider' who claims that "the damage Karl left behind is irreparable". "I don't think anything or anyone can save T oday. The top dogs at Nine must be tearing their hair out. It's not like they can scrap the show altogether … There's just no obvious replacement," said the source. A network spokesperson today said that both reports are "absolute garbage". 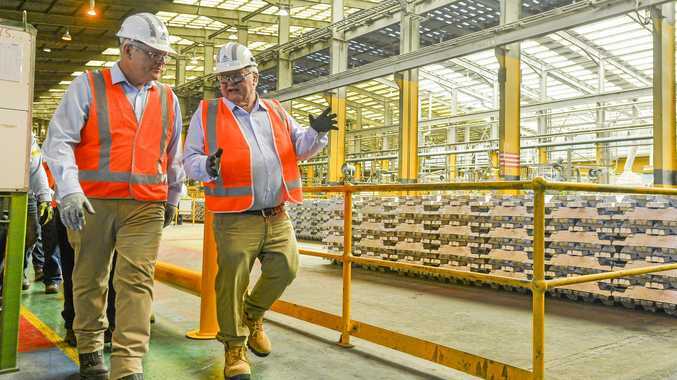 The reports come a week after Today launched a brand new line-up to a decidedly muted response, with last Monday's episode posting the show's worst ratings in a decade. Today sunk below the all-important 200,000 audience mark - pulling just 197,000 viewers across the five-city metro markets. Today may not be killing the ratings, but it has certainly dominated the news cycle - and new entertainment reporter Brooke Boney provided one of last week's biggest stories when she entered the debate about changing the date of Australia Day from January 26 out of respect for Indigenous Australians. "I can't separate 26 January from the fact that my brothers are more likely to go to jail than school, or that my little sisters and my mum are more likely to be beaten or raped than anyone else's sisters or mum. And that started from that day," said Boney, who is an Indigenous Australian. "For me it is a difficult day and I don't want to celebrate it. Any other day of the year I will tie an Australian flag around my neck and run through the streets." Boney's comments sparked fierce debate among the Today panel - and proved divisive with viewers. A Today viewer last week spoke of her distress after she claims technical difficulties saw her miss out on the show's $40,000 cash giveaway. To take part in the "Mega-Cash-a-Roo Giveaway," viewers must watch when the daily code word is advertised, and then call or text in their personal details, along with the code. The hosts then call one of the entries live on air - but the winner can only claim their prize if they answer within three rings and immediately say: "I wake up with Today." After hearing her name read out on the show on Thursday and seeing the "No Caller ID" call come up on her phone, Mackay-based Jenny Baker, claims she did exactly that - but says her joy was short-lived. "I could not believe it, I was sitting down with my mobile in my hand, and I (picked it up) and said, 'I wake up with Today!' and nobody answered. It was dead silent," she told news.com.au. As a Today spokesman told news.com.au, Nine is unable to declare a winner if the correct sentence isn't heard on air. 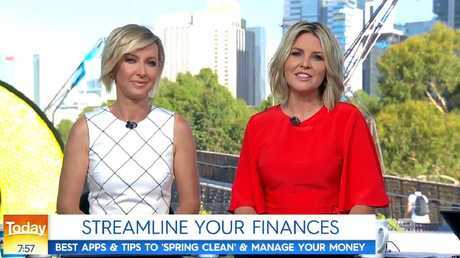 United front: Deborah Knight and Georgie Gardner. The new Today hosts capped off their first week on TV together by reading out some of the not so nice things viewers have said about their performance. "It's been an interesting week," Deb Knight, who replaced Karl Stefanovic as a full-time co-host, said at the end of Friday's show. "A lot's been said; good, bad and some of it indifferent." Georgie Gardner said, "We welcome feedback, it keeps us honest, it keeps us laughing." Sports presenter Tony Jones then joked, "It keeps us crying." The new Today line-up read of some of the many comments they've received from viewers in their first week. "This was an interesting one," Knight said. "Ros sent in a message to us via Facebook. She said, 'Saw Today for the first time a couple of days ago … A disjointed conversation with a pair of scruffy, unkempt blondes. Looked like they'd just climbed out of bed and hadn't even brushed their hair.'" The two female co-hosts laughed off the comment with Gardner saying, "We had just jumped out of bed at 3 o'clock in the morning!" Tom Steinfort, who replaced Sylvia Jeffreys as newsreader, read out a comment that he received from a viewer that said, "Back off the Botox, champ." "Mate, I assure you if I was spending money I'd be getting hair plugs, I wouldn't be getting Botox first," he said in response.